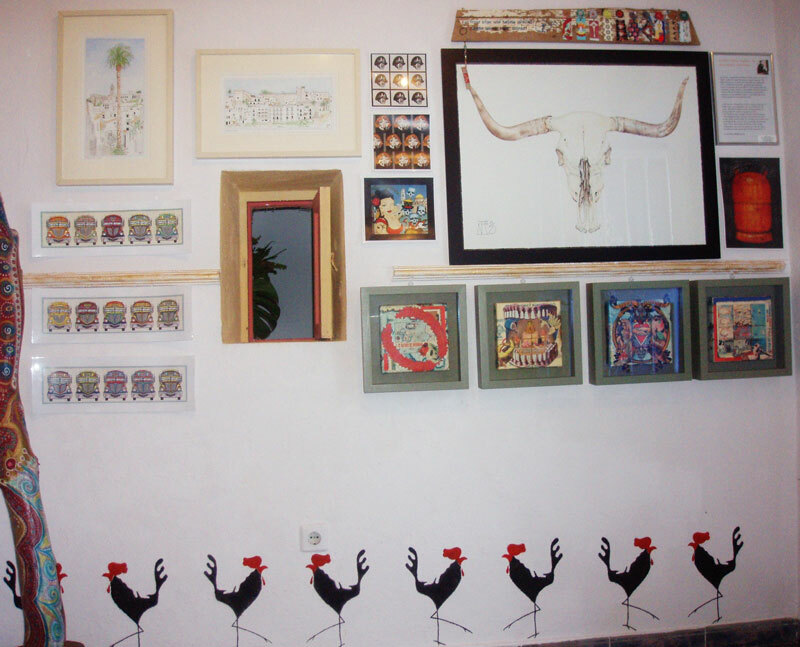 My wall (above)…decked out with my signature stenciled cockerels, some collages, a limited edition print of my cow skull drawing, original pen and watercolour drawings of Vejer and various prints of illustrations including the Chicken Buses, Gas Bottle, Discord Nancy and the CD cover for the album Jauja by Mr Groovy and the Blue Heads. 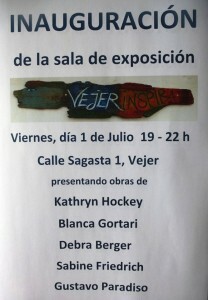 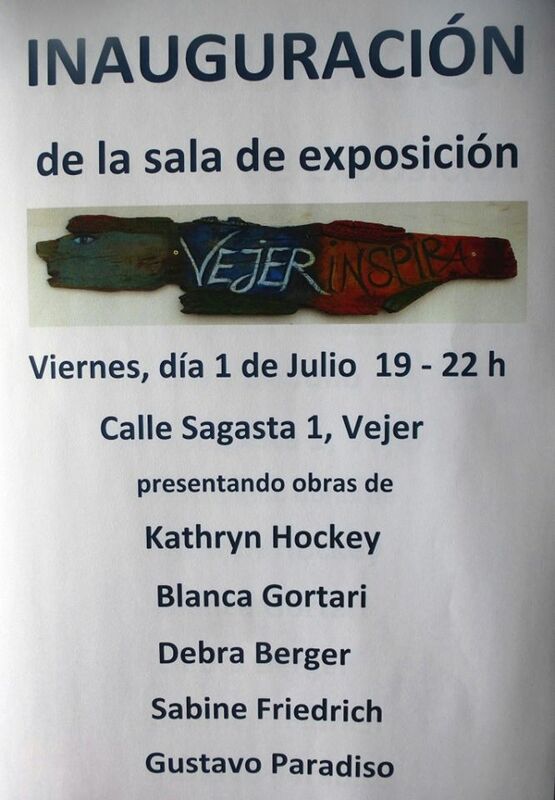 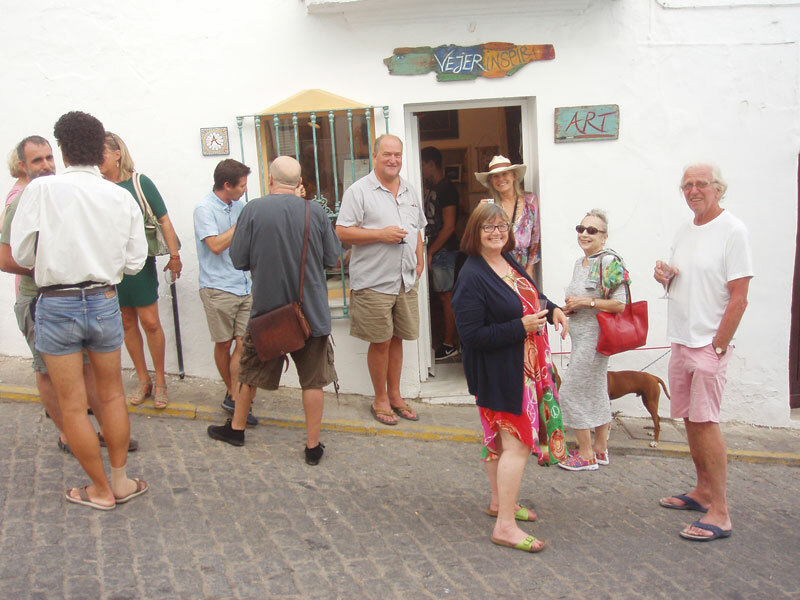 Vejer Inspira was conceived and set up by Sabine Friedrich (left), an accomplished painter from Germany, who generously invited me and three other Vejer based artists to share the walls and shelves with her. 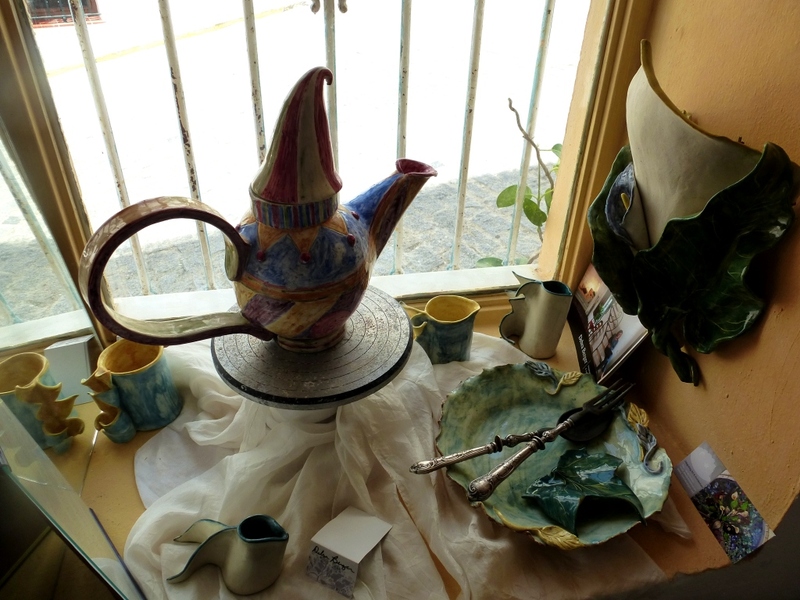 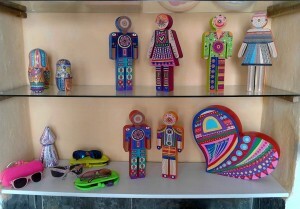 Debra Berger – whose fairy tale ceramic concoctions are displayed on a small scale here but feature as grand installations in various locations including her delightfully restored Vejer town house.